I've been craving purple a lot lately. I'm in a purple mood. I even kind of want to dye my hair purple, well more like an eggplant shade, not crayola purple. When in a purple mood, why not paint my nails purple? Polishes Used: I used OPI Vant To Bite My Neck on my index, middle, and pinky. I used Maybelline Amethyst Couture from the Brocades collection as an accent on my ring finger. Perfectly purple nails to match my purple mood! These two nail polishes are going great together. I think Amethyst Couture is great already, but it is like a little gem in combination with Vant To Bite My Neck. LOL I feel the same way, if I had to choose one color only for the rest of my polished life, it would be eggplant purple - and this one is gorgeous! Amazing! 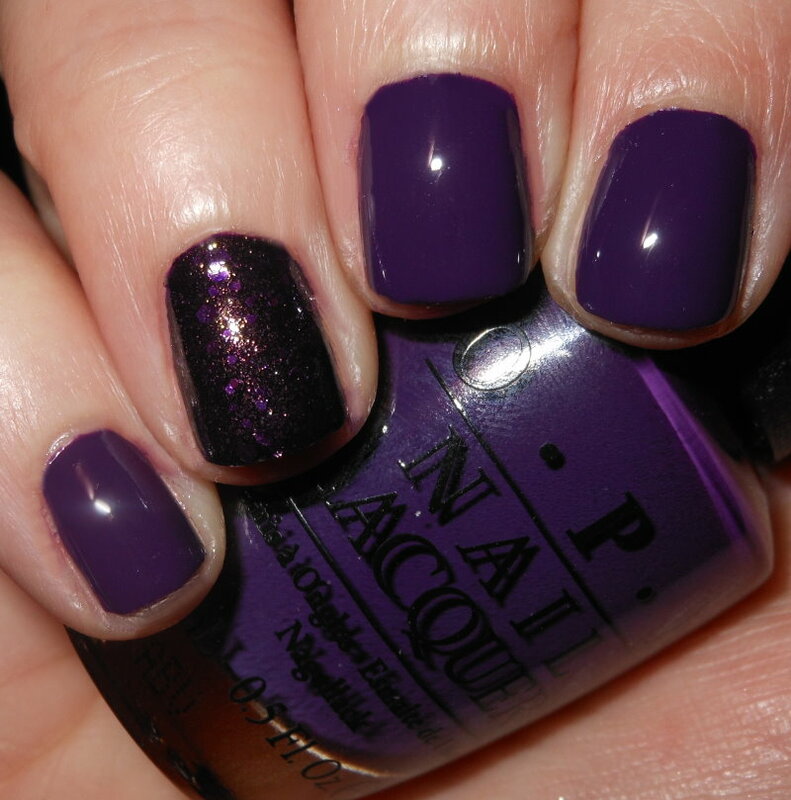 Purple is my fav colour so any purple nail designs I LOVE!